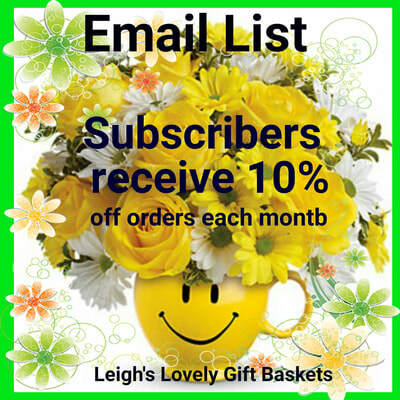 Click here to subscribe to Leigh's Monthly Email Newsletter. 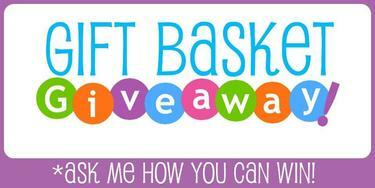 Click here to submit your monthly entry into the La Bella Baskets Free Drawing. 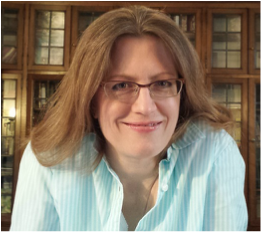 Leigh will register you personally. Click here to connect to Leigh's Customer Service page. Leigh's contact information can also be found at the bottom of each website page. You're part of the family at La Bella Baskets! " Have you ever imagined operating your own gift business from home? 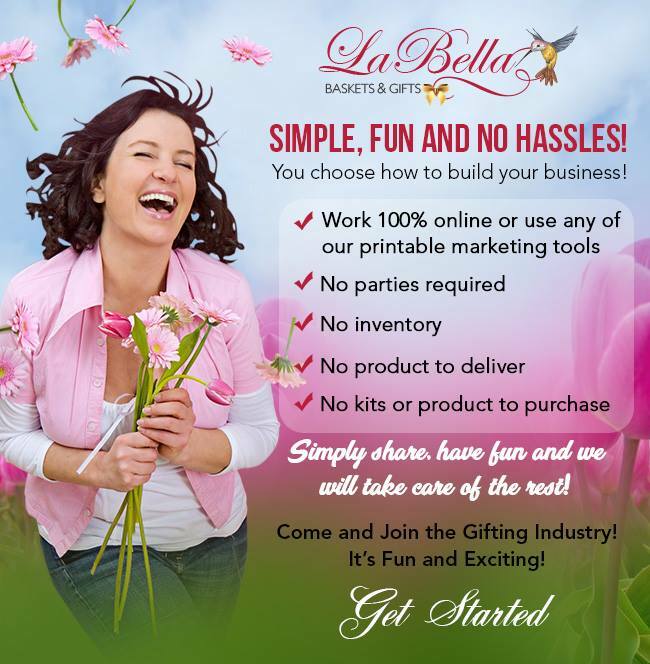 If so, you'll be interested in learning about the wonderful and unique business opportunity that La Bella Baskets has in store for you! Even if you know little or nothing about selling or marketing gifts and flowers, you will receive the training that you need to build a great business that you can be proud of! Just remember that patience and passion are vital keys to success in building a Direct Sales Business, but La Bella Baskets will provide you with the time tested training methods and tools. Click on the La Bella Baskets Banner at the top of the page to direct you to my personal La Bella Baskets website. This website will provide you with five pages of information about the company, it's mission, ten ways to earn income and much more! Browse through the gift boutique to see all of the gift baskets, fresh flowers, cookie bouquets, and personalized gifts available. La Bella Baskets has gifts for everyone! If this unique "Work From Home" business opportunity seems like a good fit for you, then begin today by signing up under the " Join Now" tab in the drop down menu. If you wish to speak to me, then please fill out the form below. I will contact you shortly. My contact information is also located on the bottom of each web page on this website, or click on my photo to connect instantly. I look forward to talking to you soon! The most satisfying work from home business opportunity begins here! Online Training Center with 24/7 access,free material downloads​ and tips to help you with your business. New Fast Track Program with weekly goals and incentive bonuses. Regularly scheduled training calls available during the week. Three Presentation Calls offered every weekday to invite your interested prospects to learn more about La Bella Baskets. Want to learn more about this wonderful business opportunity? Fill out this form and click " Submit". I will be in touch with you soon via email to set up a phone visit with you and answer questions. Looking forward to talking to you soon! Become a La Bella Consultant today! Hello! My name is Leigh, the owner of Leigh's Lovely Gift Baskets and Executive Platinum Gift Director with La Bella Baskets. Looking forward to talking with you about this unique company!